After a super busy weekend, I was really looking forward to tucking the kids in bed and testing some new skin care products :) My Sunday self care routine usually includes a nice warm bath, a glass of wine, and a facial routine of some sort. Tonight I got to pamper my skin with Elabloom Lifestyle. I was sent the cleanser, toner and moisturizer to try and I absolutely love them (Thanks Elabloom team!) You can find this kit on the Elabloom website, and you can also check out their other products that look just as amazing. So what does Elabloom even mean? In Sanskrit, Ela means Earth; so Elabloom means "Earth's Bloom". The Elabloom creators have taken a holistic approach to health, spiritual balance, and livlihood. I love that Elabloom products are scented using 100% essential oils and made in Canada. I love affordable, consciously sourced products! This gentle cleanser did an excellent job of removing all impurities and prepped my skin for the next step. About the toner- I usually skip the toner in my skin care routine because I haven't seen the benefits of using one. This toner was very moisturizing and my face really felt soothed after using this. I did a quick spritz of the spray and gently pressed the formula into the skin. I liked the scent of this toner and the convenient spray bottle would be convenient for a mid day "pick me up". About the moisturizer- This is my favourite product out of the three that I got to try. I was really surprised that the thick cream felt so light and refreshing once I used it on my face. There was no greasy residue and absorbed very well. It has a very subtle and pleasant scent, that I love! This cream contains Hyaluronic Acid and felt so decadent. I wish you could feel how soft my skin is after using these products! Just when my skin needed the extra moisture most :) I was most impressed to learn that the moisturizer contains a natural blend of 5 oils and exotic Mango and Shea butter. My skin was truly transformed after just one use. LOVE THIS! 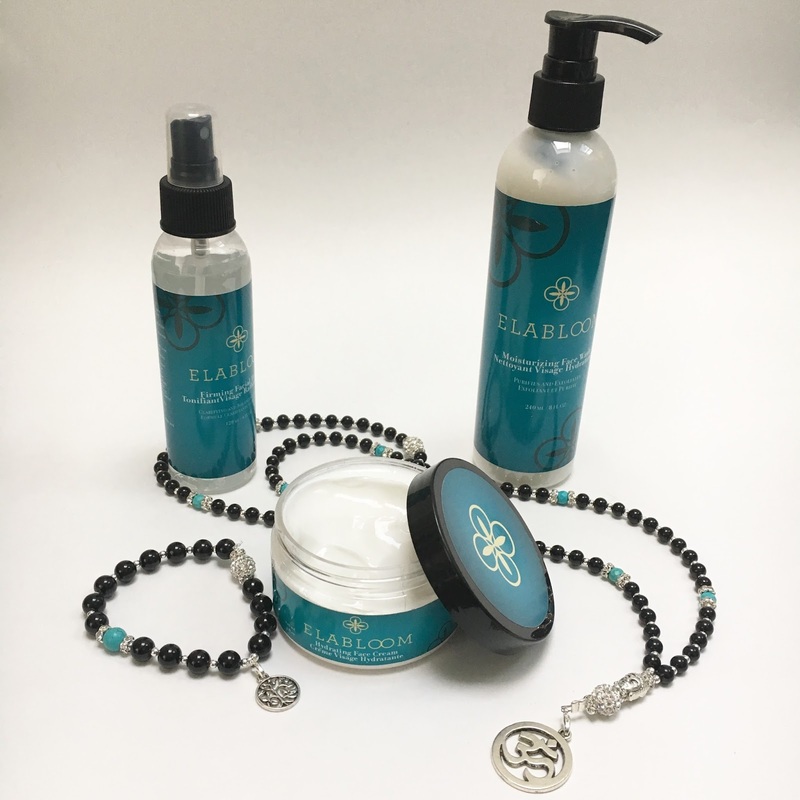 I'm happy to include Elabloom in my daily routine and I recommend checking out Elabloom if you're looking for an effective and holistic skin care ritual. If you'd like to learn more about Elabloom, check out their website at www.elabloom.com.